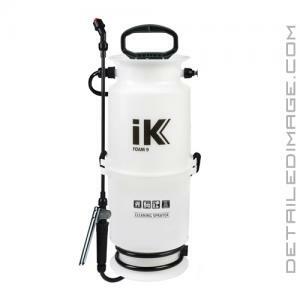 The IK Foam 9 Sprayer helps you apply a thick layer of foam to your entire vehicle with ease! If you do not have a pressure washer or foam lance on hand, or are on a water restriction, a foam sprayer could be your answer. 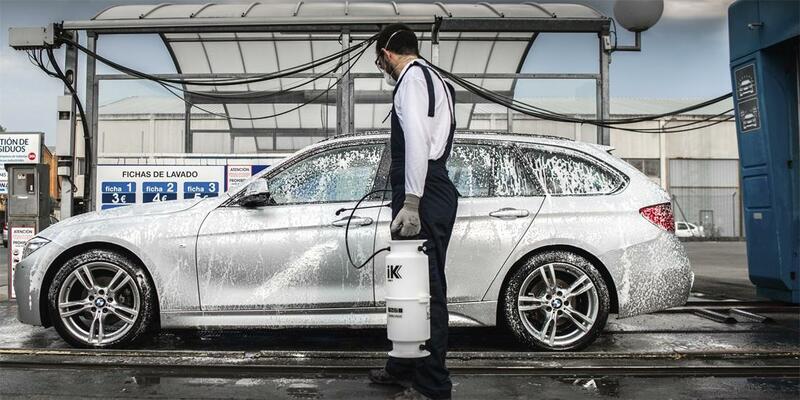 This high-quality sprayer will allow you to apply a nice layer of foam to your vehicle to help you pre-treat the surface and remove dirt and grime safely. Add your shampoo or APC and water to the reservoir, screw on the top, pump up the pressure and apply using the extended spray handle. The nice layer of foam will stick to the paint, allowing the shampoo to help loosen contamination. This sprayer can fit 1.3 gallons of cleaner, features a strong translucent tank with indicator level and a unique ergonomic design. Three mixers allow for 3 types of foam, orange for wet foam, grey for medium foam and green for dry foam. The lance grip and shoulder strap allow for easy maneuverability and spraying. 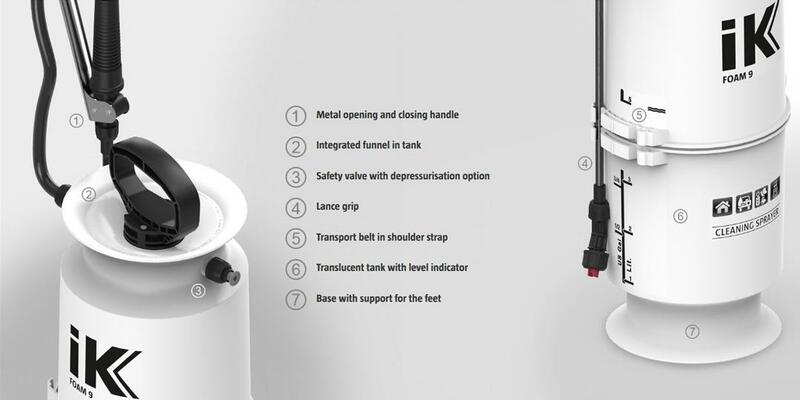 The base has a support for your feet, allow you to pump easily and if you pump too far, the 30 psi safety valve has a depressurization option for easy pressure release. All of the seals, plastic parts and washers are resistant to most acids and solvents used in chemicals, so this bottle will last. 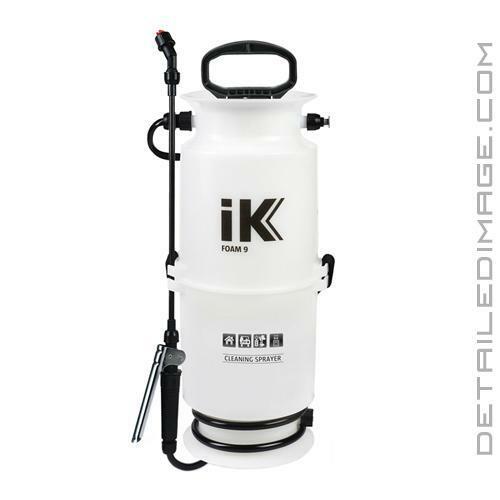 If you are looking to foam or pre-treat and entire car, the IK Foam 9 Sprayer is a great choice!